Live performance and artistic expression have always been part of Inuit culture, and especially so in the past 20 years. But before Nunavut was a territory or even a settled land claim agreement, most Inuit performers such as William Tagoona and Charlie Panigoniak—though talented and beloved—were only famous north of 60. And then came Susan Aglukark. The daughter of a Pentecostal minister in the Kivalliq, Aglukark released her first album in 1990 and then seven more. She eventually earned three Junos, multiple other awards and distinctions and, of course, that chart-topping hit “O Siem,” from her 1995 breakthrough album This Child. She was the first bona fide mainstream Inuk pop star. But the truth is, she had no idea who she was or what she was doing back then. She just knew something was haunting her and that music was a way to figure it out. As the territory turns 20 this year, Inuit musicians, songwriters, actors, directors, dancers and singers are riding an unprecedented wave of growth and celebrity—both inside and outside Nunavut. But for every mainstream Inuk superstar such as singer– songwriter and genre-bender Tanya Tagaq, alt-rockers The Jerry Cans and internationally renowned filmmaker Zacharias Kunuk, there are scores of other established performers and young up-and-comers. Take Kelly Fraser, born in Sanikiluaq around the time Aglukark was writing her first hit songs. Fraser, a rising Inuk pop star and fan of Aglukark, became famous in 2013 after posting to YouTube an Inuktitut version of “Diamonds” by Rihanna—a video that has 336,778 views and counting. Her 2017 electronic and hip-hop album Sedna was nominated for a Juno. But unlike Aglukark, Fraser, now 25, came of age during a time of political and social awakening for Inuit. And having studied Inuit and Indigenous issues in Ottawa and British Columbia, the young performer is quick to put names to the ghosts that haunted her: colonization, racism, suicide, family addictions, abuse, lateral violence and mental illness. Nunavut artists have been busy proving that prophecy. Take Charlotte Qamaniq, a member of the Juno-nominated throat-singing, trip-hop trio Silla + Rise. 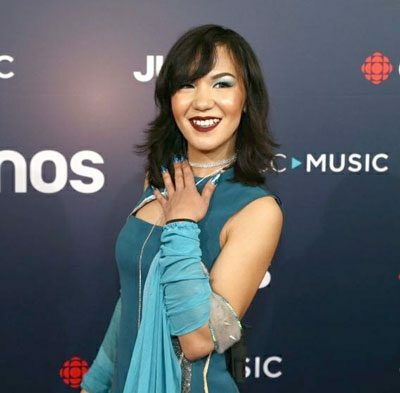 Qamaniq says the explosion of Inuit performing arts is happening, in part, because youth see more Inuit on TV and awards shows, at public events, in clubs and theatres, and they hear Inuktitut songs on the radio. All of that exposure advertises and normalizes careers in the performing arts, making them seem possible, she says. “It’s a great time to be Indigenous in general. 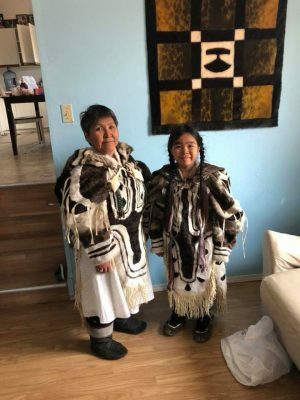 There’s such a resurgence of cultural practices and a lot of importance being put on maintaining them,” said Qamaniq from Toronto where, in January, she was performing in a three-week run of the play Kiviuq Returns. 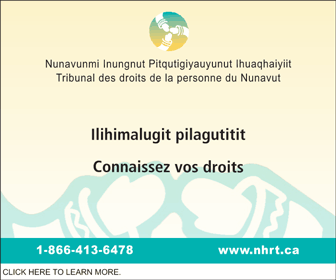 But talent and ambition are not enough, especially for Inuit in Nunavut where professional training, recording and touring are expensive and often unaffordable. So Inuit are stepping up to pave the way. Organizations such as the Qaggiavuut Society and Nunavut Hitmakerz, as well as Aakuluk Music—Nunavut’s first homegrown recording label—have formed specifically to nurture performing arts in Nunavut. Qaggiavuut, whose Qaggiq Project snagged a $600,000 Arctic Inspiration Prize in 2015, is dedicated to developing Inuit performing artists through training programs and mentorships. It’s also helping to build a dedicated performance space in Iqaluit, something that’s been sorely lacking for decades. That performance space can’t come soon enough, says Aglukark, who sits on Qaggiavuut’s advisory board. Nunavut overflows with talent and mentors, she says. 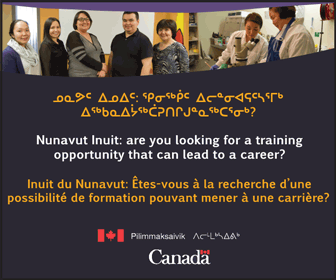 Inuit just need financial support to pursue their dreams and a professional stage in the North to showcase them. Qaggiavuut’s executive director Ellen Hamilton told Nunatsiaq News they hope to put shovels in the ground for an Iqaluit-based arts centre this year, with possible completion in 2020. Nunavut Hitmakerz is also helping to plant seeds of future stardom. 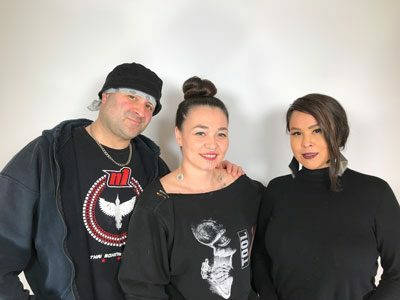 Kelly Fraser and Thor Simonsen, who make up Hitmakerz, travel to Nunavut communities with government and land-claim funding to teach youth skills in writing, recording, producing, marketing and selling professional music. In a territory dogged by the crippling remnants of colonization, residential schools and other traumas, creative pursuits such as theatre, stand-up comedy, dance, music and other forms of expression are thriving—not in spite of those ills but perhaps because of them. Turning pain into art can be powerful therapy, say Nunavut performers—both for the artists themselves and their audiences. This is especially true for a show such as Kiviuq Returns, a contemporary, multi-media play based on elders’ stories, written by Inuit, rooted in Inuit folklore and performed entirely in Inuktitut. By mid-January, after only a few performances at Toronto’s Tarragon Theatre, the play had received rave reviews in mainstream media. That’s not just because the play is exotic and unique—although it is those things. It’s because it gives the audience what good theatre should give them, an engaging and entertaining show. 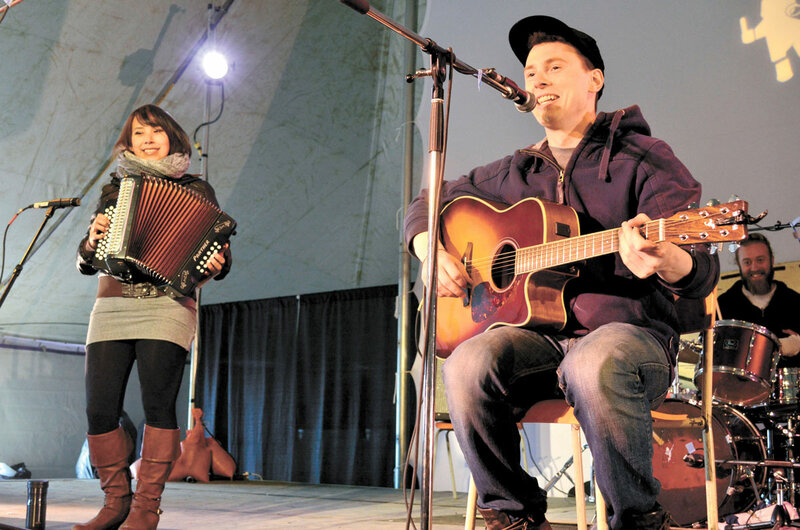 And while it’s important to showcase Inuit talent to southern Canadians, most artists will tell you it’s perhaps even more important for Inuit to perform for each other. To that end, Qaggiavuut travelled across the territory last year bringing Kiviuq to the communities, so young people could learn the trials of the Inuk hero and join the performance. Vinnie Karetak, who helped to create and co-direct Kiviuq, says theatre is a great way to pull youth out of shyness, re-engage them with traditional stories and put them on stage to bring those stories to life. 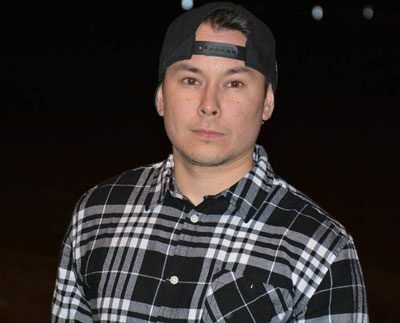 Karetak, star of the hit comedy series Qanurli, says the real proof that performing arts are growing can be found outside Toronto and Iqaluit, in small northern communities where children are learning to throat sing and drum dance; where they are picking up guitars and writing songs; where they are learning to beat box and rap. Until the Qaggiq is built, Nunavummiut will no doubt continue to explore what Aglukark calls a spiritual connection to the earth and to art, honouring both their ancestors and their children by keeping the beat going. Veronique Nirlungayuk, the first-ever recipient of the Nunavut Commissioner’s performing arts award in 2013, is one such person. When her father taught her to drum dance more than 40 years ago, it didn’t seem like a big deal. 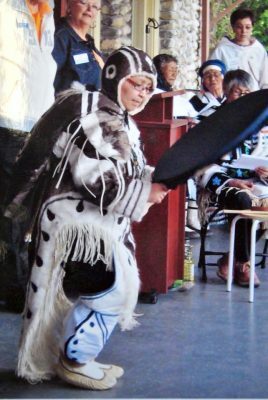 One day during community games in Kugaaruk, her friend encouraged her to enter a drum-dancing contest—something she’d never done before—to honour her father who had passed away. She did, and she won gold. “When I went on the floor in the gym, I went back in time. I felt like a child when he was showing me how to move. He was right beside me and I was following him around the circle. I was five or six years old again,” said Nirlungayuk. 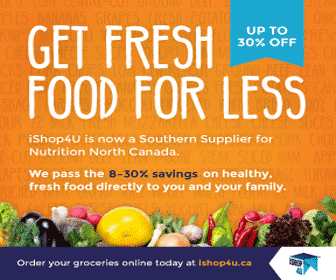 Lisa Gregoire is a former reporter and managing editor with Nunatsiaq News. A journalist for 25 years, she now also writes fiction from her home in Ottawa.